All the websites directly linked to the Poppy Line. 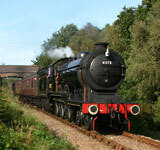 Including clubs, societies and locomotive owning groups based at the railway. 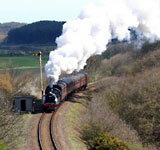 The North Norfolk Railway (or Poppy Line) operates a steam train service over the five miles from Sheringham to Holt. General information about train times, ticket prices and how to get to the railway can be found here. 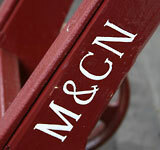 The M&GN Joint Railway Society is the support body for the North Norfolk Railway. 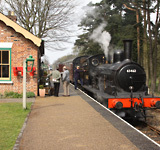 The society is a registered charity and has many items of East Anglian railway heritage. It also owns and operates the unique B12 and J15 steam locomotives. A club for young railway enthusiasts between the ages of 10–15. Members get a chance to experience many railway tasks, which they other wise wouldn't get a chance to do. Located in the goods shed at Holt, the William Marriott Museum is a window onto the M&GN Joint Railway Society's large collection of East Anglian railway items. A website totally dedicated to the M&GN Joint Railway Society's unique inside cylinder 4-6-0 B12 locomotive, including information about the 'New Wandering 1500 Club'. Friends of Holt Station website, with history, pictures and event information about the events taking place at the station. 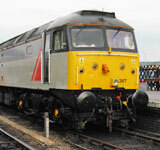 Stratford 47 Group are the owners of three class 47 diesel locomotives. 47367 is currently undergoing restoration at the North Norfolk Railway.